For the second time, the testing professionals of P3 have conducted a mobile network test in Sweden. About one year ago, the Swedish operators had presented a very high level of performance and reliability. So, we were curious whether they would hold up to these high expectations and might even surpass the excellent results of the previous benchmark. More than 14 million customers of the four Swedish operators await the results. The 2017 P3 connect Mobile Benchmark in Sweden once again proves the strength of the Swedish mobile networks. Three out of four contenders were able to improve, two of them switch their ranking positions. P3‘s network benchmarks are widely accepted for setting industry standards as well as being highly objective. The carefully designed methodology scheduled two drivetest cars to visit 21 large cities and 33 smaller towns in Sweden as well as the connecting roads. The areas in which we tested accounted for more than 4 million people, or about 42 per cent of the Swedish population. Another example for P3‘s great attention to detail is the use of up-to-date LTE “Cat 9” as well as VoLTE-capable smartphones for the tests. They reflect the latest technical developments in the mobile networks and once more emphasise the scope of our benchmarking: How do the mobile networks perform at the edge of what is technically feasible – and to what extent do customers benefit from these capabilities? In order to provide valid answers to these questions, we have also used the most comprehensive mobile plans available from each operator. Also, we constantly readjust the thresholds of our evaluation to represent the latest technological advancements. With 121 mobile subscriptions per 100 inhabitants, Sweden has a flourishing mobile communications market. And the excellent results from of our first mobile network benchmark in Sweden, conducted in 2016, have set high expectations. Still, three out of the four Swedish contenders were able to improve on their 2016 results. For the second time, the overall winner is Telia, which manages to score best in the data disciplines and shares the best voice results with Tele2 also impressing. Having ranked third in the previous year, Tele2 shows the biggest improvement both in points and performance. Telenor slips down to the third rank because it delivers about the same performance as in the previous year. So, due to tighter thresholds, they lose points, but still achieve the grade “very good”. The smallest Swedish operator Tre still comes in last, but again achieves the grade „good” and has clearly improved on 2016‘s results. Mobile networks are particularly strong in Sweden. Still, the Swedish mobile sector is characterised by many cooperations. Some of Sweden’s 3G and 4G networks are actually operated by joint network companies. Formerly owned by the Swedish government, Telia AB merged with the Finnish operator Sonera in 2002. After the merger, the Swedish state owned 46 per cent of the new TeliaSonera and Finland a little over 19 per cent. Since then, both states have reduced their ownership in the company. Today, most of Telia‘s shares are owned by diverse shareholders and the company is the largest Nordic and Baltic mobile operator both in revenues and customer base. With approximately six million subscribers, Telia is also the largest mobile network provider in Sweden. Its mobile subscriber base equals a market share of about 42 per cent. As Telia was not successful at the 3G spectrum auction, it cooperates with Tele2 for its 3G services. For 4G, Telia holds licences for 800, 900, 1800 and 2600 MHz individually as well as a 2100 MHz licence together with Tele2. Today, Telia claims to cover 99.9 per cent of the Swedish population with its 4G service. Sweden‘s first commercial internet provider Swipnet started in 1991 and was renamed Tele2 in 1993. In 1997, the company merged with the internet and cable operators Comviq and Kabelvision. In 2016, Tele2 also acquired the formerly Danish broadband operator TDC. Today, Tele2 is active in many Nordic and Baltic countries. With about 3.7 million mobile subscribers, which equals a market share of 26 per cent, Tele2 is the second largest Swedish mobile operator. “Net4Mobility”, was formed in 2009 by Tele2 and Telenor for the operation of a shared 4G network and for amending their existing 2G networks. Tele2 holds 800, 900, 1800 and 2600 MHz licences together with Telenor, and a 2100 MHz licence together with Telia. The joint 4G network covers 99.9 per cent of Sweden‘s population. Telenor is a Norwegian multinational telecommunications company and one of the largest mobile network providers in the world with operations in Scandinavia, Eastern Europe and Asia. Its Swedish operation is the result of Telenor‘s purchase of Vodafone Sweden in 2005. With about 2.5 million mobile subscribers and a market share of 18 per cent, Telenor is the third largest Swedish mobile network operator. Together with Tele2, Telenor holds the joint company Net4 Mobility that operates 4G and 2G networks on behalf of both operators. Through this, Telenor holds 800, 900, 1800 and 2600 MHz ­licences. Also, Telenor has a network sharing agreement with Hutchison (Tre) for 3G in the 2100 MHz band, but the licences are held by Telenor and Tre individually. The joint 4G coverage with Tele2 reaches about 99.5 per cent of the Swedish population and 90 per cent geographic coverage. Most of the 4G cells support LTE-Advanced with up to 300 Mbit/s. 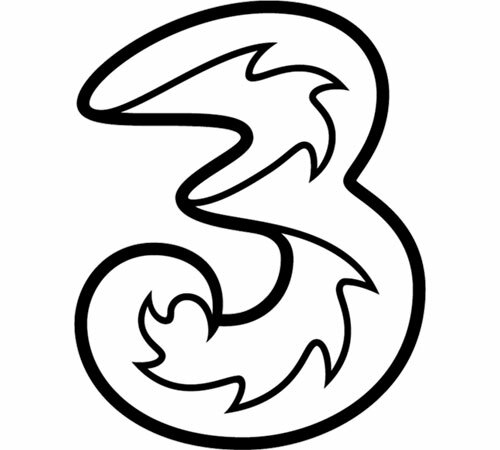 Tre or Three is the brand name under which the multinational telecommunications company Hutchison operates 3G-based mobile networks in many countries such as Australia, Austria, Denmark, Ireland, Italy, Sweden, the UK and others. 3 Denmark and 3 Sweden have a joint network covering most of the two countries with no roaming fees to their customers in both countries. In Sweden, Tre‘s mobile network is shared with Telenor except for cities like Stockholm, Gothenburg, Malmo, Lund and some others. With approximately two million subscribers, which equals 14 per cent of the Swedish population, Tre is number four regarding customer numbers in the Swedish mobile network market. Tre does not operate a 2G network, but offers 3G on 900 and 2100 MHz and 4G on 800 and 2600 MHz. Today, Tre Sweden covers about 98.5 per cent of the Swedish population. Its LTE coverage is somewhat over 80 per cent of the population, but has been growing rapidly in recent years. After the excellent results observed in Sweden in 2016, P3 and connect were particularly interested whether the four Swedish mobile operators would be able to improve even on these high standards. P3 communications GmbH, based in Aachen, Germany, is a world leader in mobile network testing. It is part of the P3 group, with over 3000 employees worldwide and a turnover of more than €300 million. P3 is partnering with the international telecommunications magazine connect, which has more than 20 years of editorial experience and is one of the leading test authorities in Europe for telecommu­nications products and services. Together, P3 and connect have been conducting the most important mobile network benchmark test in Germany for 15 years, extending it to Austria and Switzerland in 2009. Since 2014, P3 has also been conducting network benchmarks in Australia and the UK, followed by benchmarks in the Netherlands and Spain since 2015. In 2016, Sweden joined the list of examined countries. In 2016 alone, P3 compiled more than 60,000 measurement hours in 65 countries across five continents, with its test vehicles covering almost one million kilometres. As the de-facto industry standard, the P3 benchmarking methodology focuses on customer-perceived network quality – examining both voice telephony as well as data connectivity. P3‘s network benchmarks are widely accepted as an objective authority. As already described on page 3, Sweden‘s mobile network market presents a unique combination of cooperation and competition at the same time. In our first test of Sweden‘s networks, conducted in 2016, all operators showed excellent results. So, in 2017 we have been pleasantly surprised that they have held up to these expectations. Three out of four contenders were even able to improve their scores..
Hakan Ekmen, Managing Director of P3 communications GmbH. “All operators took the challenge of the P3 connect Mobile Benchmark, and three operators were able to improve their overall score compared to last year. In 2018, over the top content services, technologies like carrier aggregation and Voice over LTE as well as crowdsourcing-based use cases will become more important. This will make the results even more exciting."